MEGA is the mother of all holographic nail polishes, period. It is not a top-coat. It’s a full-blown 100% all-thriller, no-filler SpectraFlair nail polish. That’s right! Each bottle of MEGA is JAM PACKED with a blend of ONLY the highest quality holographic pigment on the market today. The moment you step outside into the sun wearing this bad-boy (or girl), you and anyone nearby are almost certain to be overwhelmed with the most vibrant fingertip rainbows you could ever imagine! Feeling creative? Try adding a few drops of MEGA to an old polish and watch something wonderful happen! 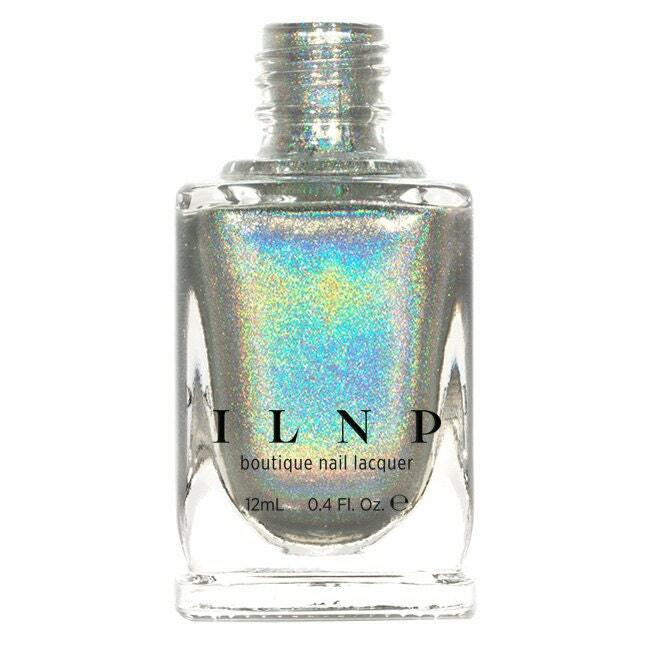 Please be advised that this listing is for 1 (one) bottle of MEGA holographic nail polish. Any base colors used in swatches and other photographs are not included unless otherwise stated. HOLY MOLY, one coat needed! It's BEAUTIFUL. I'll buy again!